So, Do We Forgive Evil or Persons Who Perpetrate Evil? I am sure that Dr. Smedes was being poetic to drive home a point about how we are to respond to evil. He was not being literal. If this is the case, then we need to ask this: Why do we forgive persons and not evil per se? The answer lies in what the essence of forgiveness is. It is a moral virtue and all moral virtues flow out from us to others—to other people—for their good. We are just or fair so that people can live a good life of order rather than chaos. We are patient so that people can correct imperfections, as only one example of how patience is used for good. When we forgive, it is directly for the other, for the one who was unjust. It gives him or her a chance to correct the evil, to reach for the higher aspects of what it means to be human. Evil is not an entity. It is not a thing. We cannot interact with it. We surely experience its effects, but there is no interaction with it. Instead, there is interaction with people who house the evil, who give it a chance to exist as a deprivation of the good. Thank you, Dr. Smedes, for your poetic image. It has helped us deepen our understanding of forgiveness. The New Zealand Herald, Auckland, New Zealand – Ricki Cobb was enjoying a ride through the countryside? ?on his motorcycle when a? ?heavily-loaded trailer towed by Donald Wills’ car hit? ?a guardrail and jack-knifed into the path of? ?the motorcycle, colliding with it and killing its rider instantly. At Wills’? ?sentencing for careless driving,? ?the dead? ?man’s partner Hera Edwards told the court? ?not only of the sorrow? ?Cobb’s death had brought to her in the 18-months since the fatal crash,? ?but also of her willingness to forgive Wills. Edwards said nothing could ever be done to replace? ?Cobb or to make up for his absence in her life or the lives of their three girls–aged 9, 6 and 4–nor would he ever be forgotten. The sentencing came in the wake of a Restorative Justice conference and an offer by Wills that was described by Judge Bill Hastings as being a “generous offer” driven by genuine remorse. 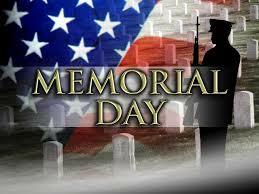 Memorial Day: a chance to reflect on those who gave of themselves for causes larger than their own survival. We thank you for leaving a legacy of love. Now it is our turn. Shall we strive to leave our own legacy of love on this earth? The time is shorter than we think. If we could ask each of those whose lives we honor on this Memorial Day, do you think they would say that their span of life was exactly as they had expected? In all likelihood, no. We can start making a difference even today in adding to our Unfolding Love Story. Whom will you serve today? To whom will you extend love, perhaps in an unexpected way so that you leave that person with a smiling heart? Adding to your Unfolding Love Story awaits. Please do not delay. Premium Times, Abuja, Nigeria – After years of devastating communal bloodbath with heavy casualties on both sides, the Fulanis (one of Nigeria’s three major ethnic groups) and Beroms?? (one of Nigeria’s major aborigine ethnic groups)? ?say they have forgiven each other and resolved to co-exist peacefully. The guerilla-fashioned violence had been characterised by deadly midnight attacks, killing of farmers and herdsmen on the fields, destruction of farmlands, as well as the killing and rustling of cows. Thousands were reportedly killed in the bloodbath that persisted. The peace talks were uniquely initiated by the warring communities themselves. Haruna Boro, who led the Fulani team, declared that his community had forgiven all and was prepared for peace. ?? ?We have resolved to forgive and forge ahead,??? he said. ?? ?We want the Beroms to demonstrate equal forgiving spirit? ?because we have resolved never to attack anyone any longer.?????? When someone asks about you, do you state your career or perhaps where you are in school? You are more than your career. Do you state your age or where you live? You are more than these. If someone asks you how you are doing and you are in emotional pain, do you make the mistake of defining yourself by that pain? You are more than your career or your age or where you live or the amount of pain you are in. Who are you? Yes, all of the above characteristics are part of who you are, but who are you really? You are a person who is special, unique, and irreplaceable. There is no one just like you on the planet. You have inherent (built-in) worth because you are a person. You have the capacity to love and to overcome emotional pain through love and forgiveness. You are much more than your pain….and so is the one who has caused you the pain. Isn’t self forgiveness just a trick we play on ourselves to reduce guilt so we can keep doing silly things? 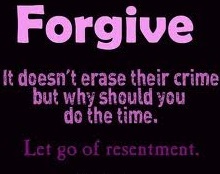 Forgiveness is for others, isn’t it? As there is false forgiveness when we are forgiving other people, there is false forgiveness when we forgive the self. ? ?False forgiveness toward others is insincere and meant to manipulate rather than to uplift in goodness. ? ?For example, a false form of forgiveness might be to continually remind someone that he or she has been forgiven as a way to dominate. ? ?False self-forgiveness also is a form of manipulation in which we let ourselves off the hook so that we can continue with the unfair behavior. Genuine self-forgiveness is the expression of the moral virtue of mercy toward the self. ? ?We express moral virtues all the time toward the self: we are fair to ourselves (justice), we care for our physical needs (love), and we sometimes have to wait under certain circumstances (patience). We have to be careful when we self-forgive also to bring justice into the situation. ? ?If we have mercy on ourselves because of an injustice that we ourselves created, then we must correct the injustice. ? ?This might include going to others and apologizing and making the situation right. Based on the above analysis, genuine self-forgiveness is hard and sincere work, not a trick we play on ourselves. I have seen some of your writings in which you talk about the Family as Forgiving Community. Would you please tell me more about what this means with some examples, please? The Family as Forgiving Community was addressed in detail in an April 14, 2012 post in this column. If you have further questions after reading that post, please let us know.